- Contractor 1099s. Did you hire any independent contractors this year? Perhaps you hired a guest blogger for your website or paid a local to trim your hedges. If so, you'll need to send off your 1099s as soon as possible! - Closing out your books. Does your financial software still list the year as 2016? You're falling behind! 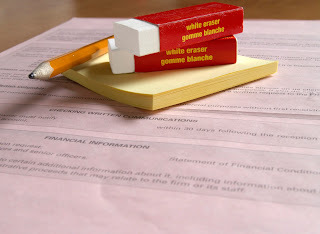 Gather up any paperwork related to your property and reconcile it all against your bank statements. Not only will this give you the insight you need into your taxes, you'll get a great "big picture" look at your financials! - 2017 budget. Have you created one yet? If you haven't, tax season is the perfect time! Take a look at what worked last year - and what didn't - and adjust accordingly.